Donations can be made in $1.00 increments(just select the number of $1 donations,) to better meet your donating capabilities! 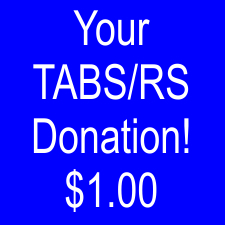 We thank each and every person who helps support TABS and those who donate their time. We couldn’t do it without you! THANK YOU!